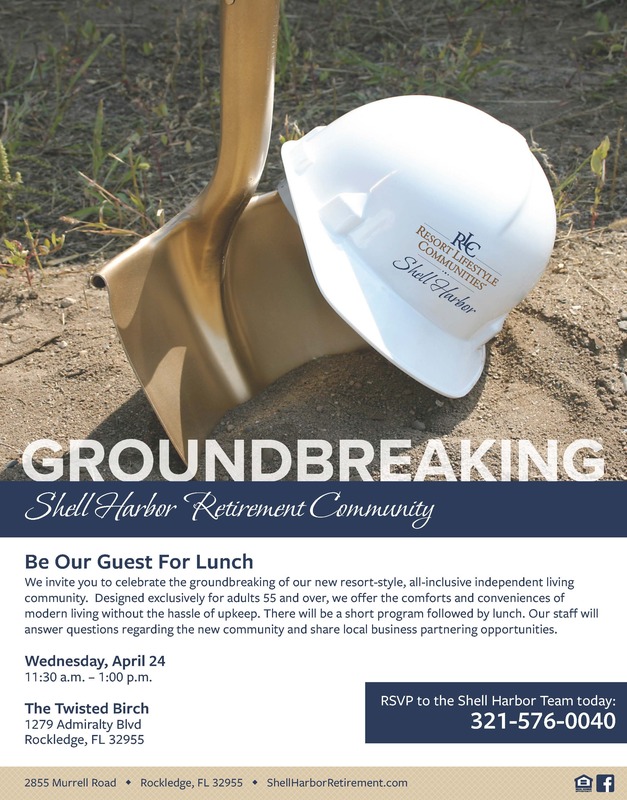 We invite you to celebrate the groundbreaking of our new resort-style, all-inclusive, independent living community. Designed exclusively for adults 55 and over, we offer the comforts and conveniences of modern living without the hassle of upkeep. There will be a short program, followed by a Q & A session with complimentary lunch. Wednesday, April 24th at 11:30 a.m.